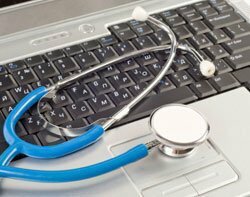 The now-axed NHS National Programme for IT (NPfIT) is still incurring significant costs, earning it the title "most expensive contracting fiasco". A Public Accounts Committee (PAC) report has stated that costs will continue to rise above the £9.8bn forecast by the Department of Health (DoH). The DoH’s latest figures forecast a total cost of £9.8bn, but this does not include future costs associated with a CSC contract for the Lorenzo electronic patient records systems, or the potential costs from terminating a contract with Fujitsu. While the NPfIT was dismantled in September 2011, the existing contract with CSC is still being honoured. The PAC report states that these costs are likely to be significant. As well as existing contracts, the programme is incurring costs from legal fees associated with terminating a contract with Fujitsu, which has cost £31.5m over the past four years. “This saga is one of the worst and most expensive contracting fiascos in the history of the public sector," said Richard Bacon MP, member of the Committee of Public Accounts. "Yet, as the much more recent Universal Credit project shows, there is still a long way to go before government departments can honestly say that they have learned and properly applied the lessons from previous contracting failures such as the National Programme. It should be plain to anyone that we are witnessing systemic failure in the government’s ability to contract." The report reiterates that the benefits from the programme are “extremely disappointing”. While benefits cover financial savings, gains to efficiency and benefits to society, the DoH reported benefits to March 2012 of £3.7m, representing just half of the costs incurred. The programme originally forecast £10.7bn of benefits, claiming that around two-thirds (£6.6bn) of the total estimated benefits would arise after March 2012. For three programmes, 98% of the total estimated benefits were still to be realised. The MPs have said that, due to the shortcomings of the National Programme, they are sceptical that the NHS will be paperless by 2018. The report stated that this will require further investment into IT and business transformation, but the DoH has not set aside a specific budget for this purpose. The NPfIT programme was launched in 2002. It was designed to digitise patient’s electronic care records to be shared across different parts of the NHS. While some parts of the programme were delivered successfully, the project suffered delays in developing and deploying the care records systems. The original plan was abandoned by the government two years ago, following three reports by the National Audit Office, the Public Accounts Committee and a review by the Major Projects Authority. The project has since been dismantled, but successful parts of the programme have been kept in place under a new management and accountability structure.